1. 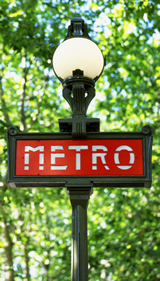 Buy a Carnet of Metro Tickets or a Navigo Metro Pass - The Metro is the most efficient way to travel within Paris. In fact, every building in Paris is within 500 meters (3/10th of a mile ) to a métro station. A single métro ticket is 1.50€. To save time and money, purchase a "carnet" or set of 10 tickets for 11.10€. Or, if you are staying in Paris for more than a weekend consider purchasing a Navigo pass, an unlimited pass for a week of travel for 16.30€. For Navigo, you'll need to bring a passport size photo with you to attach to the pass. 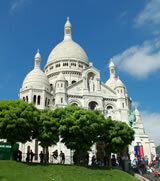 Note that metro tickets/passes can also be used on the Parisian bus lines. 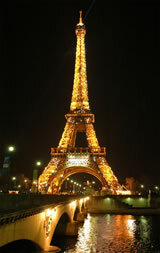 Skip the tourist "Paris Visite" pass that you can buy in the US. This discount card is more expensive than the Navigo Pass. 2. Plan your Metro Route in Advance- Don't waste time struggling to find the best route to your destination. The RATP web site has an interactive form that suggests the most optimal route based on your criteria (destination, amount of métro transfers, métro and bus combinations, travel by foot, etc.) in a printer-friendly format. Also, many Metro stations have computerized route finders on the wall. These are large métro maps with a series of buttons on the bottom. Click on the button representing your destination, and the map illuminates four possible routes. 3. 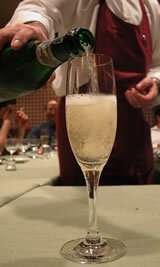 Make Dinner Reservations - For fast dinner reservations at some hot locations, check out the website Reserve the Best. This site contains the menus (in French and English) and contact information for hundreds of the finest Parisian restaurants. The online reservation service is a breeze. No more fumbling in broken French over the phone for the phrase "window table". Select the time and number in your party, write in any special requests and "Voila" - the restaurant will confirm your reservation via email or by phone. 4. Enter	the Louvre Underground via the Louvre Carrousel Shops - There are often large lines to enter the Louvre through the main outdoor entrance. Instead, enter through the The Louvre Carrousel, a small underground mall, complete with a food court, that enjoins the museum. Window shop through the mall and enter the Louvre opposite the inverted pyramid made famous by Dan Brown in The Da Vinci Code. Then, be amazed at the line that you just bypassed. The street entrance is off Rue de Rivoli on the street side of the Louvre building. Look for signs for the Louvre Carrousel shops. From inside the metro, take the métro to the Palais Royal Musée' du Louvre stop (line 1) and follow the signs to the Louvre Carrousel/Musée (this is a winding walk through the station - just follow the signs). 5. 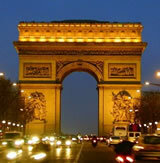 Go to the Museums at Night - Too much to see in Paris and too little time. 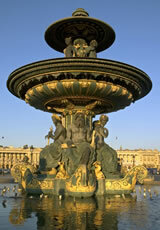 After the shops are closed and before dinner begins, visit the The Louvre or the Musée D'orsay. The Louvre is open until 9:00pm on Wednesday. The Orsay until 9:00pm on Thursday. Take advantage of the extra hours with the bonus of avoiding the crowds.